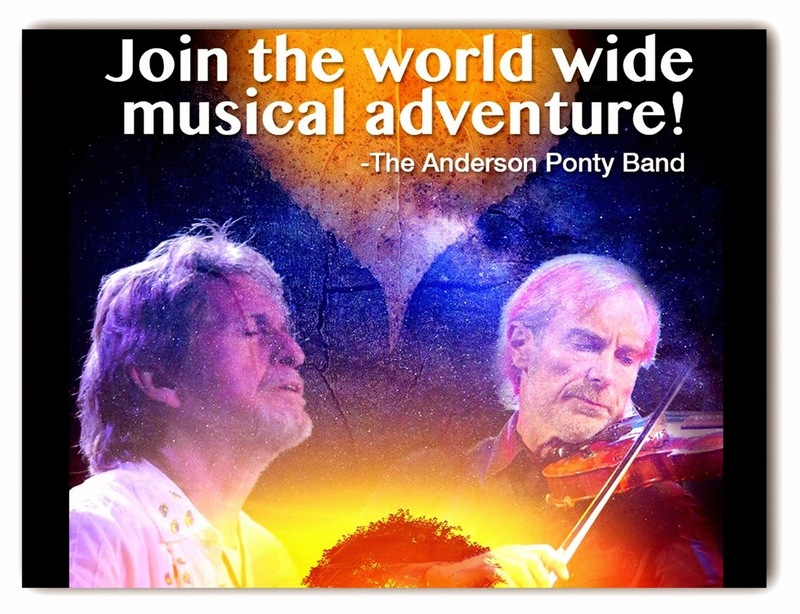 Prodigious violinist/composer/ Jean- Luc Ponty and legendary ‘YES’ lead vocalist/ songwriter/ Jon Anderson have united their musical mastery to originate the Anderson Ponty Band, and with the formation of a new musical venture enters a debut album soon to exhibit new music and classics re-imagined. Anderson & Ponty are also excited to include their fans in the experience. Music enthusiasts can pledge to their Kickstarter campaign (already in-progress) entitled the Jon Anderson & Jean-Luc Ponty Project. By contributing you can receive various items related to the project including an invite to the dress rehearsal in Aspen, Colorado where the CD will be recorded, VIP show tickets, and an invitation to the post show band party. The musical blend of Jon Anderson’s angelic vocalizations of progressive rock virtue and Jean-Luc Ponty’s awe-inspiring instrumentation of jazz-fusion & classical essence… will undeniably be spectacular! 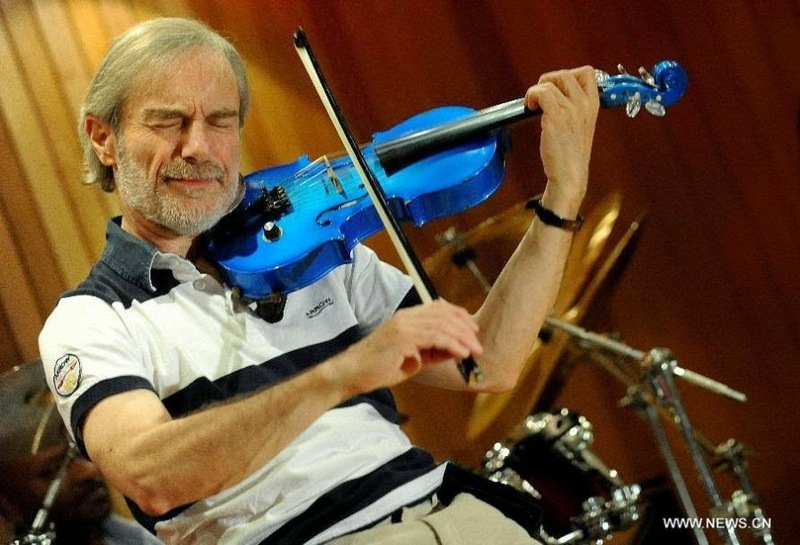 JEAN-LUC PONTY was taught by his classically trained parents who were also music teachers. He learned to read musical notes before he learned the alphabet. Ponty was taught the violin and piano, but at the age of eleven his father asked him to choose only one instrument so he would be proficient with a single instrument instead of mediocre at several. After graduating from the Conservatoire de Paris, it appeared that Jean-Luc was on the way to a prodigious classical music career and eventually performed with a major symphony orchestra. But Ponty also began to establish a musical appetite for jazz music which led to Jean-Luc recording his debut “bebop” album entitled Jazz Long Playing in 1964. Ponty’s notoriety flourished and was asked to perform at the Monterey Jazz Festival in 1967, which lead to a U.S. recording contract with World Pacific label. Ponty’s subsequent releases featured such jazz luminaries as Svend Asmussen, Stéphane Grappelli, Stuff Smith, Gerald Wilson, George Duke, and Niels-Henning Orsted Pederson. Ponty had conquered classical music and jazz as a critically-acclaimed artist and now it was rock music’s turn. In 1969, Frank Zappa composed the music on King Kong: Jean-Luc Ponty Plays the Music of Frank Zappa. The release featured an array of virtuosos including …Frank Zappa and George Duke. Ponty moved to Los Angeles after Zappa asked him to join the Mother of Invention tour. While heavily in demand …Jean-Luc Ponty was asked to perform on numerous projects. Ponty contributed on Elton John’s Honky Chateau album and several recordings with John McLaughlin’s Mahavishnu Orchestra … Apocalypse and Visions of the Emerald Beyond. Ponty signed as a solo artist with Atlantic Records in 1975 and over the next decade released 12- consecutive albums reaching the Top 5 on Billboard’s Jazz charts and selling millions of copies. Ponty also became one of the first jazz artists to have a music video. Jean-Luc scored huge commercially with … Imaginary Voyage (1976 -reaching #2 on Billboard’s Jazz charts) Enigmatic Ocean (1977- reaching #1 on Billboard’s Jazz charts), Cosmic Messenger (1978 -reaching #2), Mystical Adventures (1982- reaching #2), and Individual Choice (1983- reaching #2). In 1995, Jean-Luc Ponty joined forces with guitarist Al Di Meola and bassist Stanley Clarke to record The Rite of Strings which followed with a tour of the U.S., South America, and Europe. In 2005, Ponty toured with Stanley Clarke on double bass and Bela Fleck on banjo. In 2011, Jean-Luc joined Chick Corea and Return to Forever for a series of concerts. Ponty’s daughter is singer/pianist/composer Clara Ponty. TODAY: Jean- Luc Ponty is as busy as ever … an exciting collaboration and album with Jon Anderson and a new album with Stanley Clarke forthcoming. I had the great pleasure of chatting with Jean-Luc Ponty recently about his latest collaboration with ‘YES’ legendary songster Jon Anderson …Jon Anderson & Jean-Luc Ponty Project/Kickstarter campaign …. Working with Frank Zappa… Daughter Clara Ponty …Chick Corea/Return to Forever …Stanley Clarke … Acoustic vs. Electric Violin … Classical vs. Jazz & Rock …And much-much more! Here’s my interview with the legendary proficient violinist, multi-instrumentalist, composer, musical pioneer, former member of Frank Zappa and The Mothers of Invention, Mahavishnu Orchestra, Return to Forever, and the newly formed Anderson Ponty Band … JEAN-LUC PONTY. Ray Shasho: Hello Jean-Luc, where am I calling you to? Ray Shasho: Let’s first discuss the Kickstarter campaign…‘Jon Anderson & Jean-Luc Ponty Project’ which will help fund a new album of classics and new material by the newly formed …‘Anderson Ponty Band.’ As of August 15th … the project has raised $67,576 with a goal of $95,000.00 and only 8 days to go. Ray Shasho: So what types of costs will the Kickstarter funds contribute to? Ray Shasho: I was extremely excited when I first heard the news about you and Jon Anderson forming a band together … I knew immediately that the music and dynamism you both share would mastermind an incredible bond. Ray Shasho: Will “Mirage” be on the new release? Ray Shasho: Jean-Luc, do you have an idea when the new CD may be released? Ray Shasho: You’ve been asked to play with so many legendary performers… including Frank Zappa. What was it like working with Zappa? Ray Shasho: Your daughter Clara Ponty is a pianist, singer and composer? Ray Shasho: Jean-Luc, who was some of the musicians or artists that got you interested in playing the violin? Ray Shasho: You’ve used 4, 5, and 6 string violins? Ray Shasho: Do you prefer the electric violin sound over traditional acoustic? Ray Shasho: I’m also excited about this new album you mentioned with Stanley Clarke. You’ve toured and recorded with Stanley and Al Di Meola as a trio over the years. Ray Shasho: Jean-Luc, here’s a question that I ask everyone that I interview. If you had a ‘Field of Dreams’ wish like the movie, to play, compose, or collaborate with anyone from the past or present, who would that be? Ray Shasho: Jean-Luc, thank you for being on the call today but more importantly for all the incredible music you’ve given us and continue to bring. 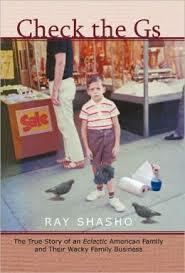 amazon.com or barnesandnoble.com - Please support Ray by purchasing his book so he can continue to bring you quality classic rock music reporting.